Once many people in the world began to disobey the Lord. There was only one old man's family who obeyed to the Lord. He was called as Noah. Noah was a very good man and never did anything to hurt others and the Lord. Since many people were against the Lord, there were fights, thefts and many other sins everywhere in the world. The Lord was very unhappy and decided to destroy all those people and start again from first. He decided to send heavy flood to destroy all those bad people. 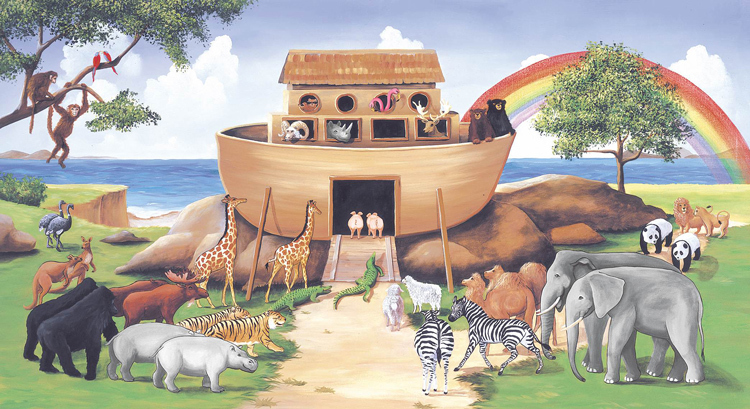 The Lord ordered Noah to construct a big ark. 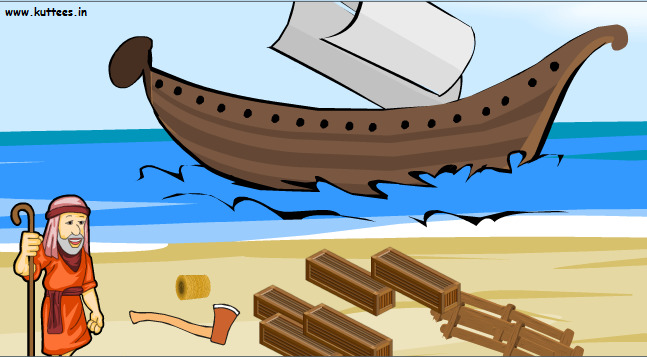 The ark could carry plenty of loads in it. When the ark was completed, the Lord asked Noah to take his family inside the ark. Then He asked Noah to take a two from every living animals and birds on the ground inside the ship. He also ordered him to take food for his family and all those animals. Noah did what the Lord had ordered him. When everyone got into the ship, God shut the doors and sent heavy rain from the sky. It flooded continuously for 40 days. All the bad people in the world died because of the flood. After 40 days the flood got down and the Lord asked Noah to come out of the ark.